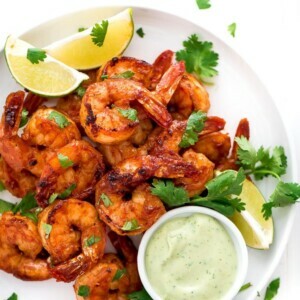 This is a totally delicious shrimp recipe to serve all summer long. Let wooden skewers soak in water for at least 30 minutes. In a large zip bag, mix the honey, oil, juice, garlic, chili powder, cumin, paprika, salt, and cayenne pepper together. Add the shrimp and let marinate for at least 30 minutes. Drain the shrimp from the marinade and place the shrimp on skewers. Grill over high heat for 2 minutes per side or until opaque.